RIGOUR OF GREEN KEY GLOBAL’S ECO-RATING PROGRAM HELPS FAIRMONT JASPER PARK LODGE MEET SUSTAINABILITY REQUIREMENTS OF JASPER NATIONAL PARK AND ACCORHOTELS. Fairmont Jasper Park Lodge is a four season luxury resort and Canada’s #1 Golf Resort Course, hugging the shoreline of Lac Beauvert in the heart of the Canadian Rockies, Alberta. Occupying 700 acres within Jasper National Park, the hotel is situated in a protected area that is also recognized as a UNESCO World Heritage Site and the world’s second largest Dark Sky Preserve. Four hundred and forty-three guest rooms are dispersed across a main lodge building and cedar chalets, and there are 14 fully appointed Luxury Signature Cabins. In addition, the Lodge accommodates up to 700 staff residents in rooms and apartments on the property during the summer peak season. Officially opened by the Canadian National Railway in 1922, the Jasper Park Lodge has been part of the Fairmont Hotels and Resorts brand since 1999 and in 2017, became a division of AccorHotels Luxury Brand, with 4,500 properties worldwide and growing. Located within an area set aside to protect natural, ecological and cultural values, the Fairmont Jasper Park Lodge already had high obligations for environmental responsibility, including conserving energy, reducing waste and limiting light pollution as priorities. The Lodge was also committed to the Accor Group’s rigorous Planet 21 program that laid out a sustainability roadmap for all AccorHotels, including 16 mandatory actions and 60 voluntary actions. While the Lodge had successfully completed 13 mandatory and 46 voluntary actions, Sustainability and Special Projects Manager, Amanda Caine, said they still aspired to do more to improve their score. Indeed, the renewed Planet 21 program required all Accor Hotels – including the Lodge – to complete 100% of mandatory actions between 2016 and 2020. With a large contingent of staff living on the hotel grounds – about 300 in off-peak season up to over 700 in the summer – employee engagement on sustainability actions was essential for the Lodge’s success. “All colleagues must understand that living and working within Jasper National Park is a privilege that comes with many responsibilities,” the Lodge’s internal sustainability policy states, including the responsibility to lead by example. But processes and procedures for colleagues that would help meet sustainability goals were not always clear. And with the high turnover of seasonal staff, it was challenging to keep on-the-job environmental responsibilities top-of-mind in day-to-day operations. Under Planet 21, AccorHotels are credited for having a certification or third-party environmental label for their management and operations. Since 2005, Fairmont Jasper Park Lodge has fulfilled this requirement as a member of Green Key Global’s (GKG) Eco-rating program. In 2017, the Lodge earned a 4 Green Key rating. Caine is pleased with the support Fairmont Jasper Park Lodge is getting from GKG through the assessment process. 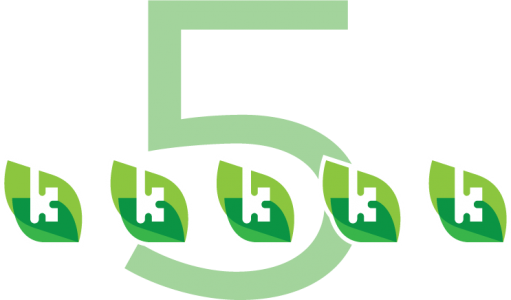 “The Green Key Global team is quick to provide clarification and examples,” she said, “and they work to ensure appropriate credit is given in the assessment for our sustainability initiatives.” Besides working on what needs to be done to improve their Green Key Eco-Rating, Fairmont Jasper Park Lodge also joined GKG Green Meetings in 2018, earning a 4 Key Rating in this program, too. “Clients are looking at this option a lot more,” said Caine. In choosing the GKG Eco-Rating Program to measure Fairmont Jasper Park Lodge’s sustainability performance and provide third party verification, the hotel recognized and welcomed GKG’s requirements for documentation to back up ratings assessments. It was also important for the Lodge to have a crosswalk of the Hotel’s sustainability agenda and the GKG program criteria on record to ensure that hotel programs that were not explicitly mentioned in the Eco-Rating Program – like wine bottle cork and cigarette waste recycling – were considered and counted towards their assessment. The Lodge developed a two-year internal sustainability plan to show how they were measuring up to Planet 21, which also included the evidence to prove it. “With a lot of green-washing in the sustainability world, it’s important to have that,” said Caine. Communicating the plan with colleagues has helped provide clear direction on where Fairmont Jasper Park Lodge is going with sustainability initiatives and the expected eco-friendly job-specific behaviours required of staff to help them get there. “This has boosted understanding of our sustainability vision and mission, as well as participation from colleagues,” said Caine. Staff are passing on the appreciation they are gaining of Fairmont Jasper Park Lodge’s unique environment to guests. 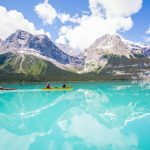 “They are offering canoe rides, guided hikes and snowshoeing,” Caine said, “and they are constantly talking about the park.” “That gives people a better appreciation of where they are,” Caine noted, alluding to the nationally and globally recognized protected status of the area surrounding Fairmont Jasper Park Lodge. Fairmont Jasper Park Lodge’s on-the-ground actions that give back to community – like the Great Canadian Shoreline Clean Up and trail maintenance for Friends of Jasper National Park – have also resonated with local organizations and area residents. “There is more community involvement; people want to volunteer,” said Caine. Since the interview, the Lodge obtained their 5th Green Key and has completed 15 of the 16 mandatory Planet 21 actions. “These initiatives are helping to increase our green positioning and reduce our carbon footprint.” said Caine.